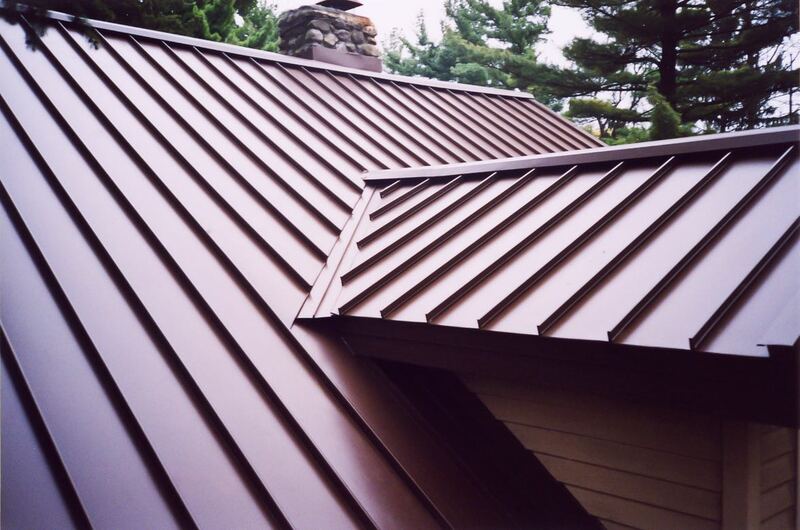 When most homeowners begin thinking about a metal roof, all they can envision are the roofs they have seen on barns and commercial buildings. 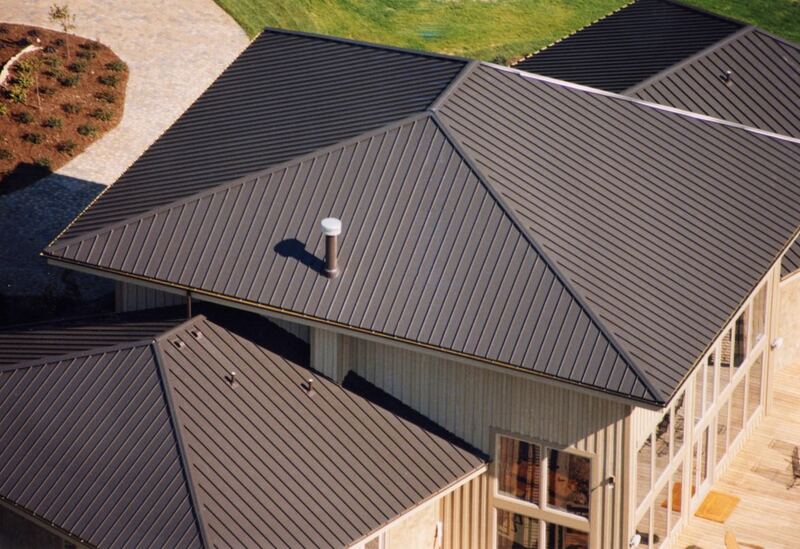 Those types of metal roofs typically have panels that run vertically up the roof. 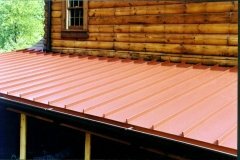 These types of metal panel roofs are called “Standing Seam” because their prominent visual feature is the raised interlocking seam which joins one panel to the next. 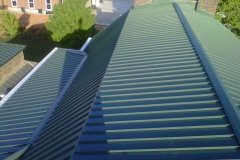 Often called “commercial roofing,” or “agricultural panel roofing,” or even “barn roofing,” these products do provide the great protection and durability for which metal is known. 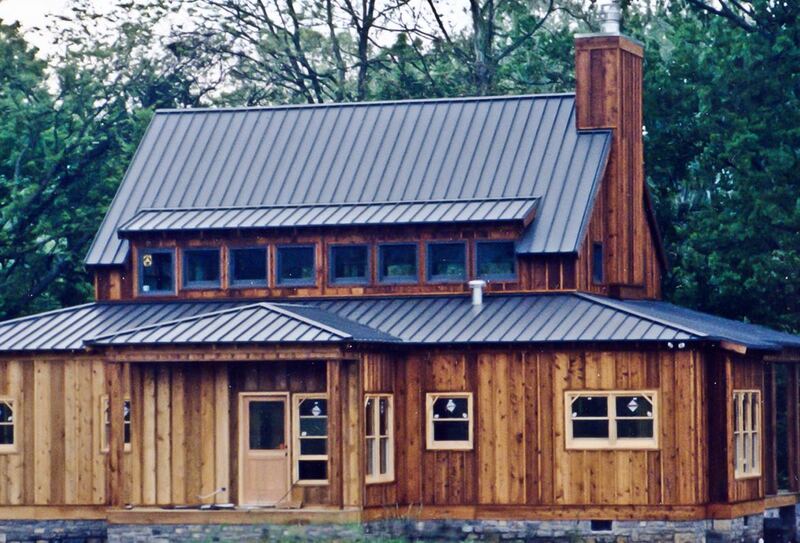 Classic’s ClickLock Standing Seam provides the look of the products that you see everywhere on restaurants and farm outbuildings. 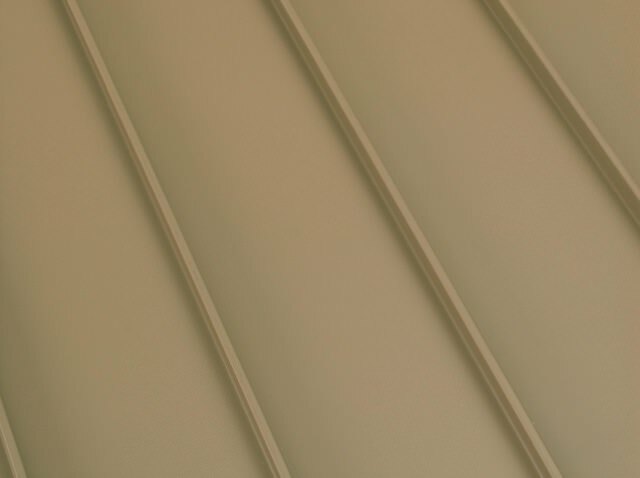 Also called “exposed fastener”, these are sheets of corrugated metal that laid on the roof, with screws are driven through them to secure them to the roof deck. 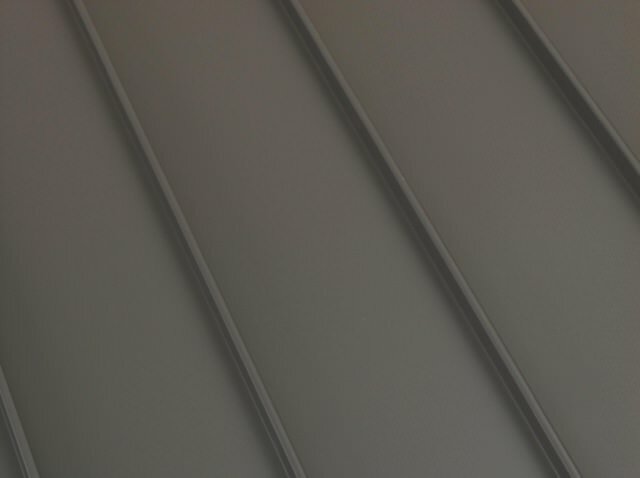 These panels have no built-in allowance for the metal’s movement with temperature change. 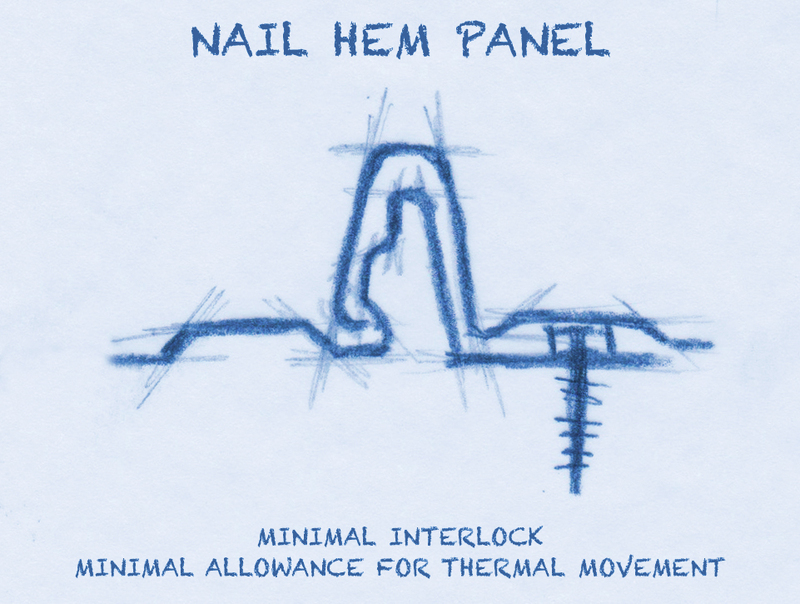 As a result, the fasteners bear the forces of thermal movement. 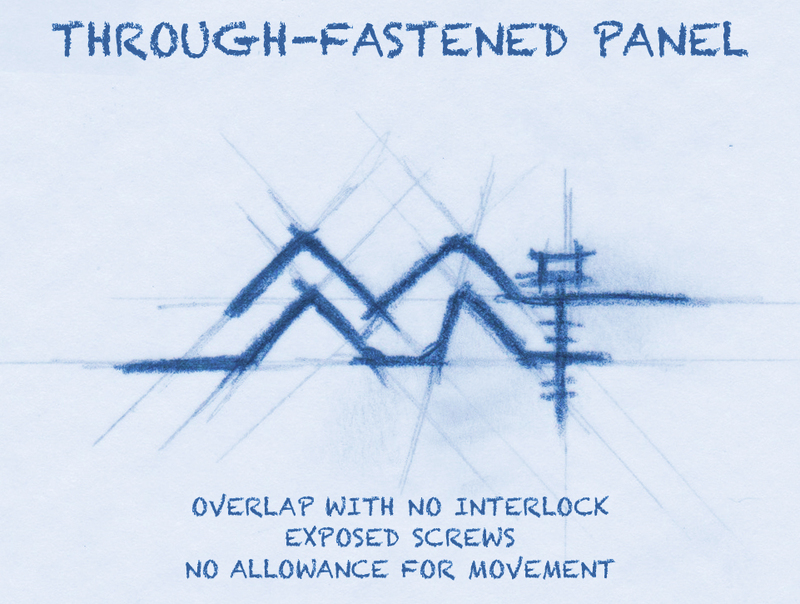 This causes fastener holes to wallow out and fasteners to back out or even break over time. These panels have a nailing strip running down one side, usually with elongated holes designed to allow for the expansion and contraction of the roof panels. 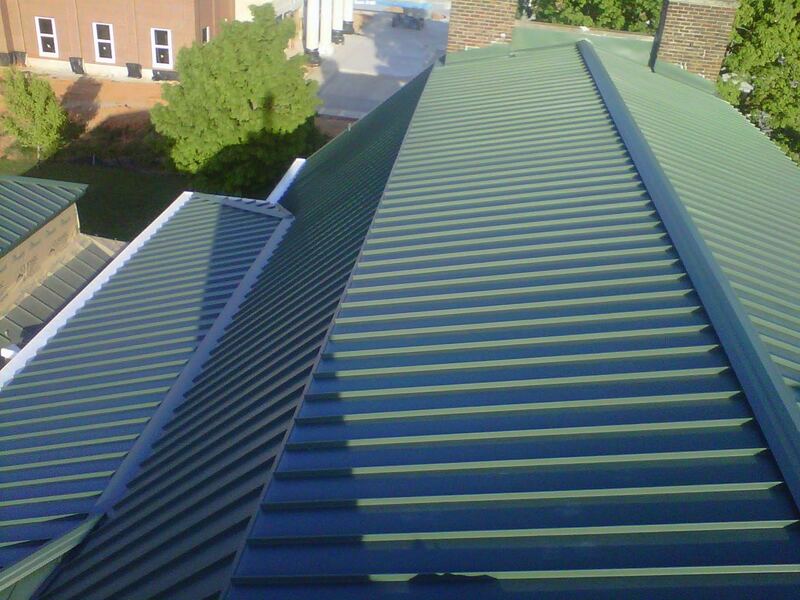 If the fasteners are over-driven or if the fasteners are not all located exactly in the middle of the slotted hole, the allowance for expansion is ruined. 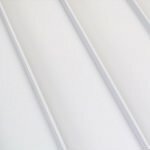 This causes ripples to appear in the panels. 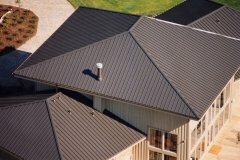 Many of these products also have lower quality coatings. 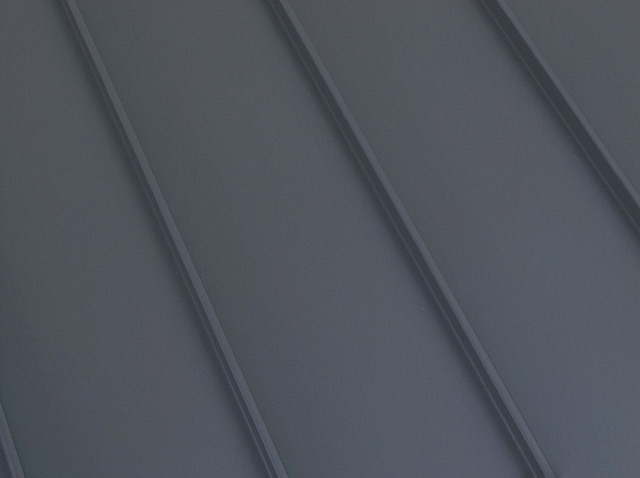 These panels are designed with clip fasteners that allow the metal roofing panels to float as needed with the naturally occurring expansion and contraction of the metal caused by temperature changes. 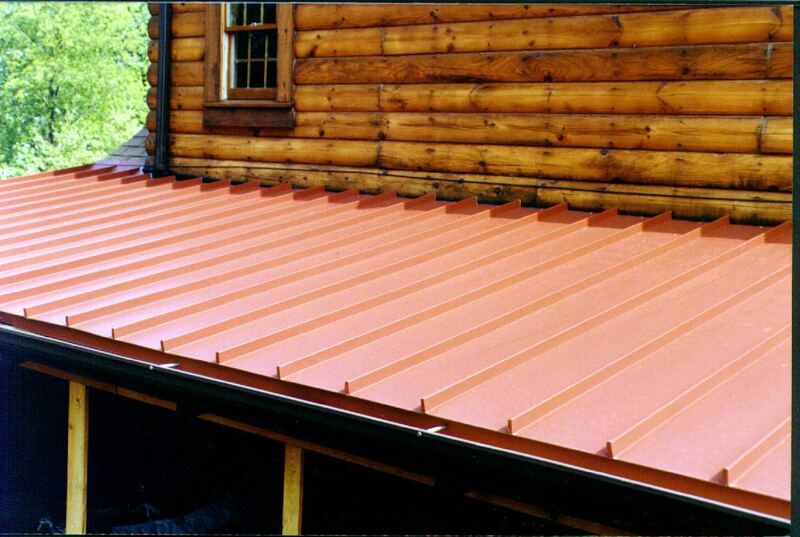 Additionally, standing seam panels and their accessories are designed to have only concealed fasteners. 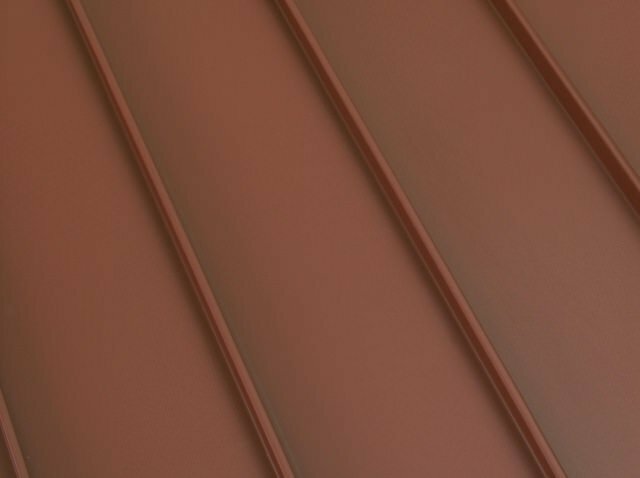 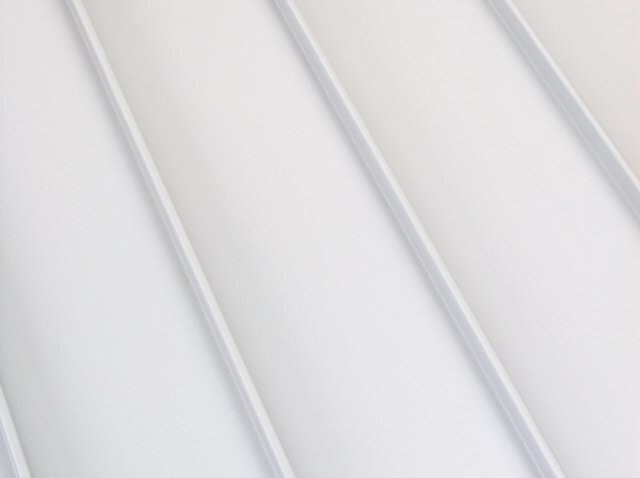 The highest quality standing seam systems will have PVDF coatings noted for their fade and chalk resistance. 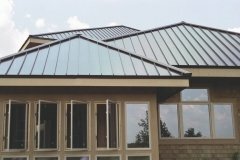 ClickLock has been engineered in narrow 12” panels for a clean, contemporary look that is architecturally scaled for the scale of any home rather than for the larger scale of a barn or shopping center. Manufactured from heavy-duty, rust-free aluminum, ClickLock stands apart from most standing seam panels that are steel. 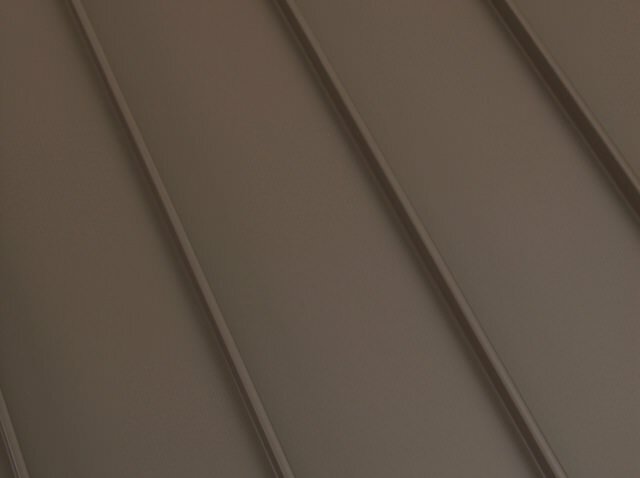 Additionally, in comparison to most agricultural panels, ClickLock has all concealed fasteners, eliminating failure-prone rubber washers beneath exposed screw heads. 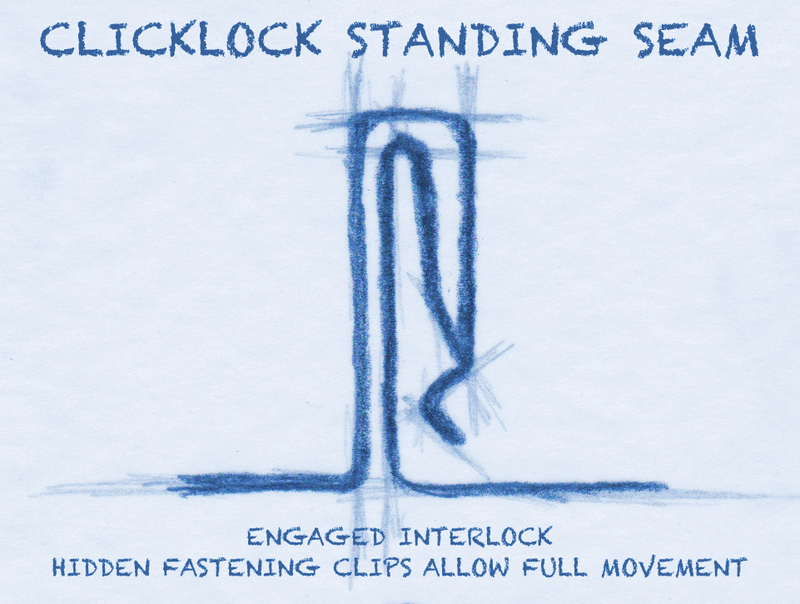 ClickLock, on the other hand, is produced with precise tolerances under controlled conditions in our main 120,000 square foot factory in Ohio. Using only the best first-run aluminum and quality Kynar 500® or Hylar 5000® PVDF resin-based finishes, it is Certified ‘Premium’ under the Metal Construction Association Certified Roofing Panels program. 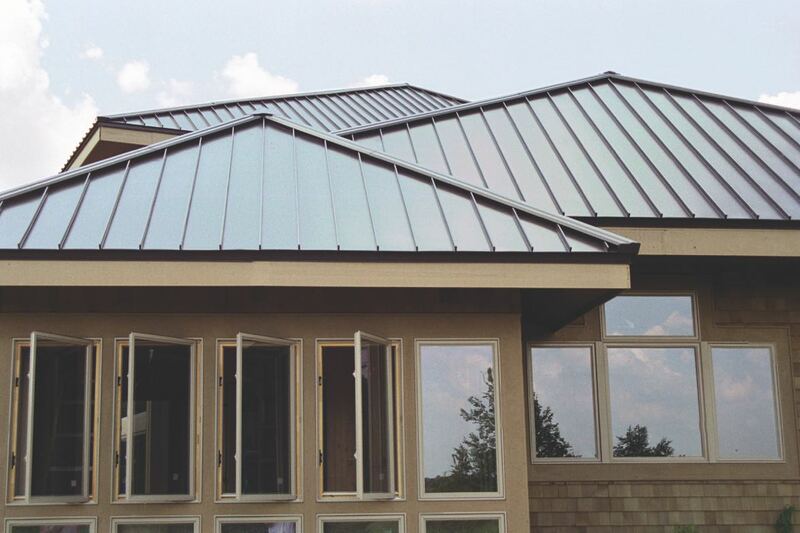 ClickLock is truly top-of-the-line standing seam roofing for your home. 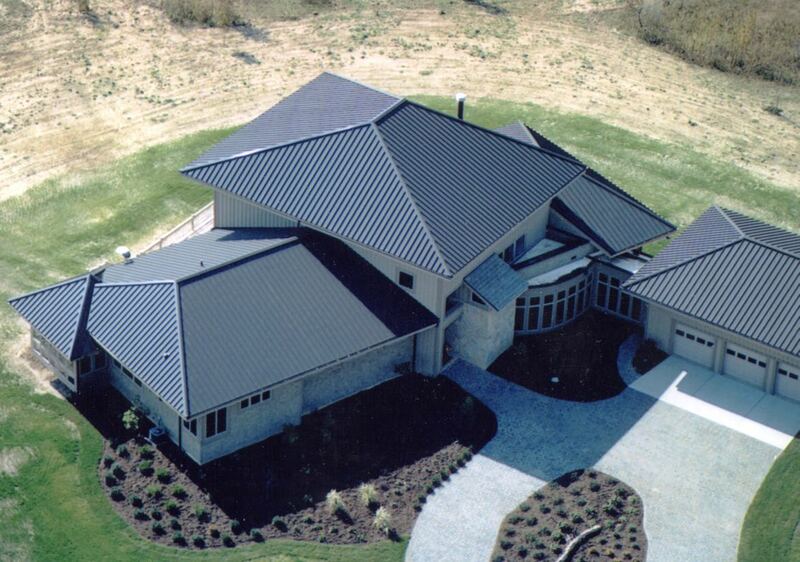 Not Sure Standing Seam Is The Look You Want? At Classic Metal Roofing Systems, we hear from thousands of homeowners each year who want the durability and added value that a metal roof provides but they don’t want their home’s roof to look like one on a barn or shopping center. We understand their feelings completely. 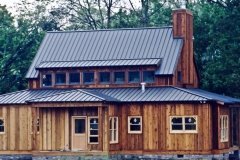 That’s why, even though we produce the best standing seam available with ClickLock and Universal, our real passion lies with metal roofing products that have unique and special beauty to complement any home design. This is why we have engineered products like Rustic Shingle, Country Manor Shake, and Oxford Shingle. These products provide all the benefits of metal roofing but with the beauty of traditional residential roofing products like dimensional shingles, slate, and wood shakes.